Topping: Shredded coconut or chocolate chips/cocao powder ect. Heat nut butter over double boiler until pliable, remove from heat and mix in remaining ingredients except coconut. I used a spatula then my hands to mix. 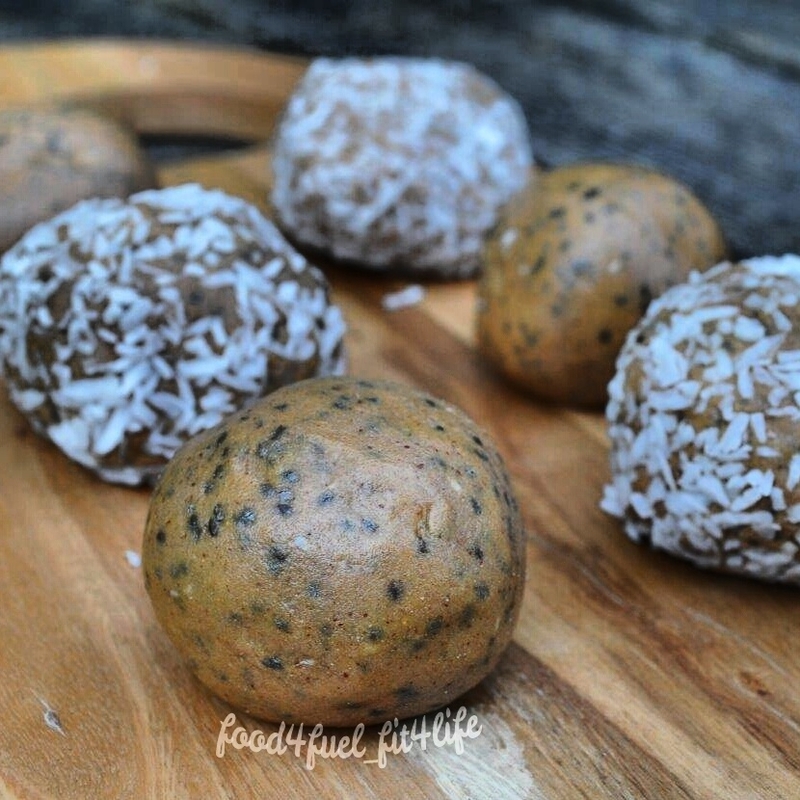 Once well combined roll into balls and roll in coconut or other tipping if desired. Store in Fridge. Make sure you grab a drink with these bites! !